The latest generation of MONITOR ERP System is now launched in Malaysia as the first country in Asia. 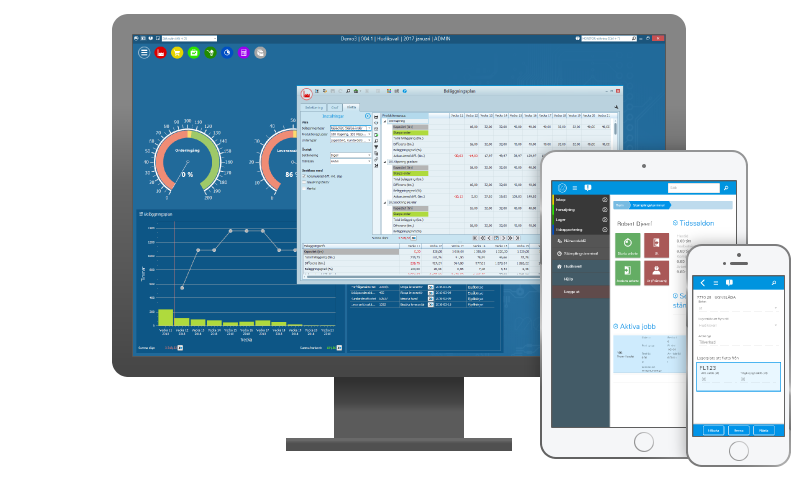 A complete ERP system with integrated business intelligence. MONITOR provides you with control over your entire business. The system consists of several different modules that together cover all activities of a modern manufacturing company. This is the core of MONITOR. The system is optimized for manufacturing and production planning. Here you create BOM and routing, make important calculations, and register manufacturing orders that will generate profit. This module contains support for the entire purchase process, from inquiry to accounts payable. Here you register suppliers, use SRM, create inquiries and purchase orders, perform arrival reporting, create transport labels, and perform receiving inspections to make sure everything is correct. This module contains all procedures for sales of goods and services. Here you find procedures for customer management, prospective customers, CRM, quotes, customer orders, deliveries, invoicing, statistics and follow-ups, accounts receivable, and cash flow forecasts. Here you find effective and reliable requirements planning. You can see what’s in stock, and what it's worth. You also have top quality tractability in this module. Case management and different stock calculations are also found here. Here you find functions for attendance and work recording, basis for salaries, functions for detail planning, schedules, etc. In this module you manage your company’s current accounting. Here you find functions for handling accounts, automatic posting/allocation, current recording of transactions, reports and follow-ups, as well as change of period/year. You also find project accounting in this module. Are you in control of your production? MONITOR ERP system helps you take control of your processes. Your delivery reliability will be improved which in turn leads to more satisfied customers and better results. It also help you reach your goals. The Swedish hypercar manufacturer Koenigsegg has been using MONITOR since 2004. In this movie you get to see exclusive footage from their factory and hear why MONITOR is an essential part of their success. Halldora von Koenigsegg, COO: "We need to focus on every single aspect to make the best car in the world. And for that, it goes without saying, we also need the best ERP system in the world to match our ambitions." During the event Logistics and ERP Systems in Värnamo, Sweden, we participated in the annual panel debate against our biggest competitors in the "world championship" for ERP systems.